With just over three weeks to go until Camp Bestival 2016 opens its gates my thoughts are turning to the arduous task of packing! 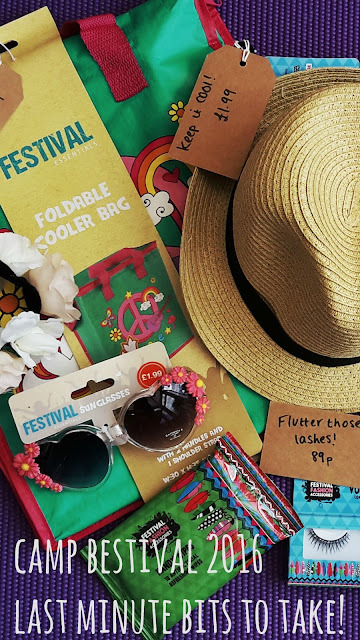 Now, with six previous Camp Bestivals, and countless camping trips, under our belts I have the campsite packing list pretty much sussed, plus some necessary festival extras. But...there are always some last minute bits to take. 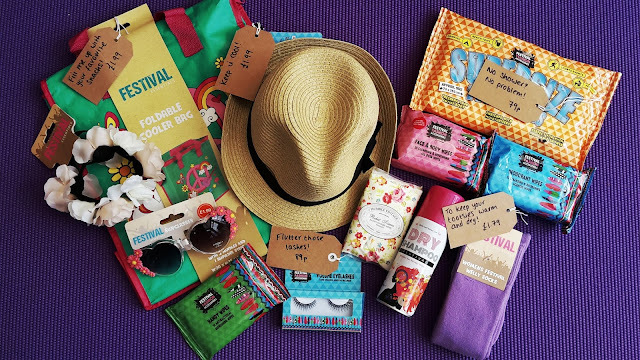 Extra toiletries to keep you super fresh, electric toothbrushes to ensure no slacking on the dental hygiene, covers to keep those brushes clean from any bugs - creeping ones and airborne, sun cream, bite soothers and travel sickness bands. Great for keeping the children's teeth clean is the Bruah Baby KidzSonic toothpaste. With a 2 minute flashing disco light timer and 30 second pulse reminder to move anround the mouth I know my kiddos will have clean teeth whilst out camping and festivalling this year! 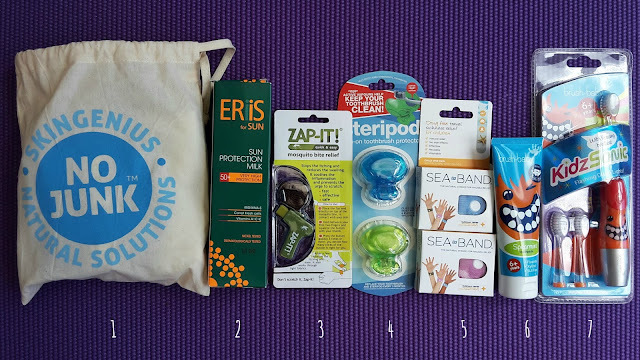 Taking a tween or teenager? 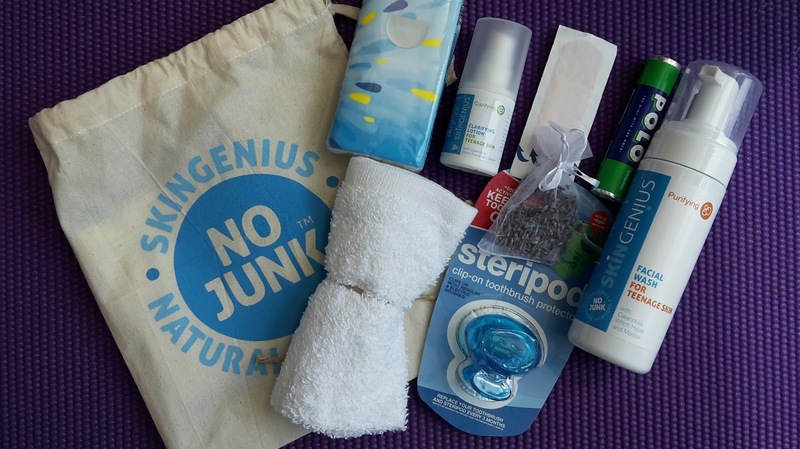 Pack them their own special bag of No Junk from Skin Genius including facial wash, face wash, clarifying lotion, tissues, plasters, mints, toothbrush protector and lavender. And don't forget these extras from Home Bargain's Festival Range with prices starting from 12p! So, I'll be making some extra room in the luggage to take these bits along to keep us all fresh, clean and looking the part. It's not too late to join the fun down in Lulworth from 28th - 31st July.